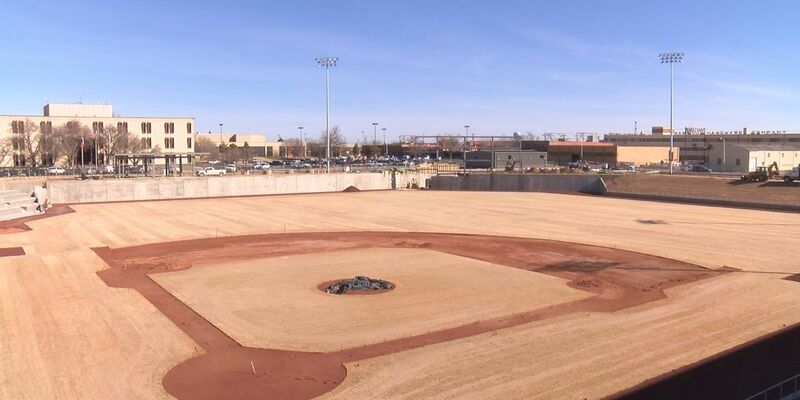 With only 64 days left until the home opener at Hodgetown, NewsChannel10 took a tour of the future home of the Soddies. AMARILLO, TX (KFDA) - It’s been just over a year since the city broke ground on the Multi-Purpose Event Venue (MPEV). Project Director for Western Hunt Brandon Robertson said the construction is right on schedule. Sod Poodles President and General Manager Tony Ensor said the seats will start arriving this week and that the turf is looking great. With the locker rooms soon to be complete and the suites coming together, it’s starting to look like an actual baseball stadium. Even the stadium Musco lights will put you on your feet during the seventh inning stretch, because they’ll be programmed to music. It won’t be long before players are running through the tunnel onto the field.. If you think the name Sod Poodles took the Panhandle by storm, try the entire nation and then some. Since the name was announced, they’ve been featured on sites like Barstool Sports, Sports Illustrated and ESPN. Also coming soon is the team mascot, which Ensor said will be revealed closer to March. After recently announcing multiple community involvement initiatives, Ensor said it doesn’t stop there. There are a few different ticket plans available, but game day tickets will go on sale in mid-March online and at the box office.